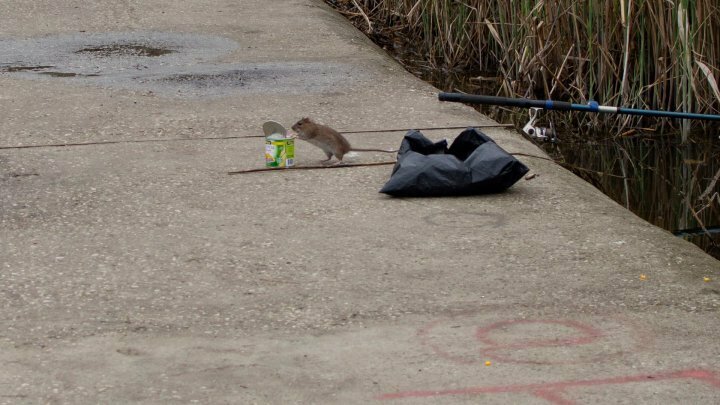 Dozen rats often walk freely in the Valea Morilor park of Moldova's Chisinau capital. The photos above were taken Monday by our photographer. The rats in photos show up and look for food. Conservative corns inside that can which fishermen use to catch fish might attract our rats.